CoilyQueens™ : How to reduce heat damage when straightening your Afro hair. How to reduce heat damage when straightening your Afro hair. Heat straightening, dehydrated hair is one of the top reasons, naturals get heat damage. 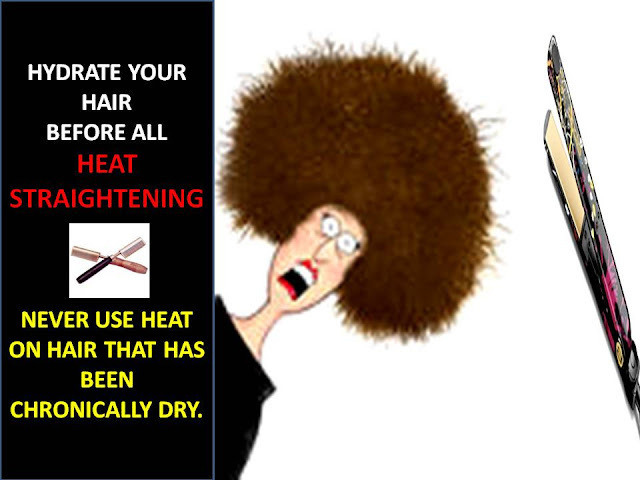 Never ever straighten your hair, if you are having frequent dry hair issues. Consistently dry hair is vulnerable to damage. 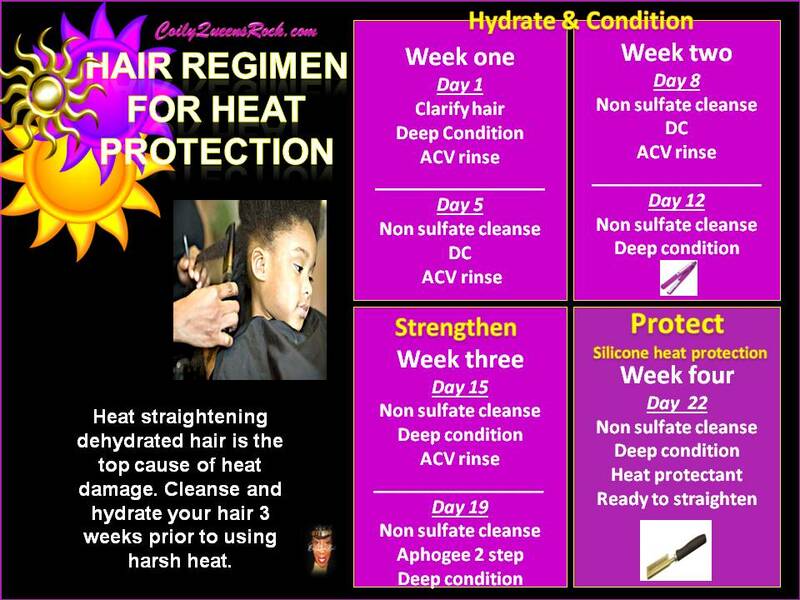 Hydrate and condition your hair 3 weeks prior to flat ironing or pressing your hair. Simply deep conditioning your hair the day before you plan to heat straighten is not enough protection. There is always a risk of heat damage, when you chose to flat iron or press your hair. Your chances increase when you receive a professional flat iron or straightening. Why? Because the higher the heat the more likely the damage. Professional heat tools are more effective but also harsher on the hair. The stylist's job is to get your hair straight and give you a style which will last a week or more. Remember this when you decide to get a professional straightening. You should invest in a silicone based heat protectant. When using harsh heat on your hair, that is not the time to use natural heat protectants. You want to use a product that will give you the most protection. 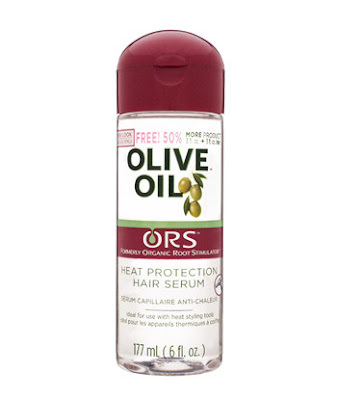 Silicones stick to the hair and help to protect the hair during the heat straightening. PLEASE SHARE YOUR FAVE HEAT PROTECTANT BELOW.